From the kitchen of One Perfect Bite...Tonight, out of an abundance of yogurt, I have yet another custard dessert to share with you. Not all stores in this area carry Greek yogurt, so, when it's available, I've been known to buy more than I really need and then end up scrambling to use it before it goes bad. This pie is an example of where my over exuberance in the dairy aisle leads. It's a Greek-style yogurt pie that, despite similar ingredients, is creamier and slightly sweeter than the yogurt pie we made and posted here a few days ago. It also has an interesting crust that is made from a mixture of white and whole wheat flour that is fortified with wheat germ. There are no berries in the pie but it is topped with a copious quantity of fruit preserves. You may prefer to use macerated fruit as a topping. You will find the pie needs the sweetness the fruit provides. While it is easy to make, there is significant wait time before the pie can be served. It's best to make the pie the night before you plan to serve it. It's worth the wait. Here's the recipe. 2) To make custard: Stir yogurt, vanilla and zest in a bowl. Stir in butter and yolks. Stir sugar, flour, and salt in a bowl; stir into yogurt mixture until smooth. Pour into crust. 3) Bake, with foil covering edge of crust, until just set in center, 45 to 55 minutes. Transfer to a wire rack; let cool 1 hour. Spread jam over center of pie. Refrigerate at least 3 hours (up to overnight). Yield: 10 servings. Your photos are stunning! I also tend to buy a lot of Greek Yogurt when I see it and the honey one is the one I am completely addicted to. This pie is gorgeous. Stunning! What a lovely color and I know it will taste divine! Ohhhh la mia povera dieta !!!! Questa foto di primo mattino è veramente una tentazione !! nice and delicious foods, i really love to eat.. Awesome!! This pie looks irresistible! So muc love and cheer...and this Yoghy pie sounds to my heart near and dear!!! Delicious recipes my dear Mary!!! This looks almost like a cheesecake...ive yet to try Greek yoghurt...ive heard how lovely it is so I have to give it a go...With this beautiful pie.. definitely. beautiful pics! This looks delicious! Love that crust and the pie looks so creamy and good. Made me crave for it! Will try it definitely! Delicious, healthy, simple to make, I love these type of desserts!!! So gorgeous too!!! this looks like a dessert that is good for me!!! nummy crust and filling. I always have yogurt on hand. The pie sounds marvellous! I love your photo too. Have a great day! I am loving these yoghurt pies! I can't wait much longer to try one! This is beautiful! Love the color. My regular store is just starting to carry greek yogurt. I think it would be delicious in a pie. Almost cheesecake like? Ahhh, makes me want to go out and buy extra Greek Yogurt! This looks yummy! This looks great! I love greek yogurt, so I think this would be right up my alley! yoghurt and custard together... hmm! I like this pie. This looks great! Awesome photos! Thanks! My 'regular' grocery now carries several varieties of Greek yogurt -- all, much to my dismay, non-fat versions. I get the idea that this means that newcomers to Greek yogurt won't 'get' what makes it special. Your pie looks great, Mary, I love the idea of the nuttiness in the crust. Greek yogurt is non-existent here so when I am in Seattle I always pick some up. I've heard that Greek yogurt is the latest health craze, so needless to say, I'm sure this recipe will be popular. Looks melt-in-your-mouth yummy, and healthy too! Greek yogurt is so delicious. I like the plain with a drizzle of honey and a bit of granola. Yum, as good as cheesecake...well almost. This sound so delicious! I may try a variation of this soon. OOOOOOOOOOOOOOOOOO HELLO ! yum ! OMG!! love the color and looks so delicious. Terrific pie. I know my family would gobble this up, it looks and sounds absolutely delicious! I love Greek Yogurt too! I will try this for Father's Day, Mary. I really trust your ability to cook, so I readily follow your recipes. That piece of pie just begs to be eaten it looks so good! Beautifully taken photos! I buy huge containers of Greek yogurt at Costco and usually have to scramble to use it up too. It's a wonderful substitution for sour cream (I sub up to 50% of the sour cream called for in a recipe). Same goes for mayonnaise. Thanks for the recipe... will bookmark it! Yum and probably more healthy with the Greek yogurt than a cheesecake is! I love greek yogurt- I find that it tastes more like 'real' yogurt- I have never thought to make a dessert using yogurt- Great idea. What a stunning pie & just look at those vibrant colours!! oooh yes! I would like to savour a big slice,...thank you! I love the use of yogurt. Love this dessert! 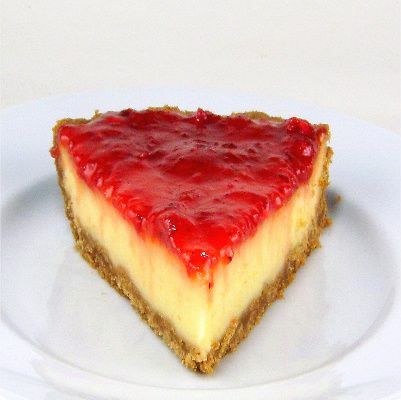 It looks a little bit like cheesecake - how does it compare? Softer, I would guess? I'm fascinated with this recipe! I don't think I have ever eaten a yogurt pie. I love Greek yogurt...always have it in the fridge, so I could easily make this. I think I even have wheat germ. Ooh, that makes me absolutely crave strawberry jam...lovely. this looks so good! love the colors and textures you captured in your photos! I love Greek yogurt and tend to overbuy it as well, especially when I pick up the huge tub at Costco. I will save this recipe for the next time that happens! What a gorgeous pie! This sounds delicious! I actually bought some greek yogurt - I was thinking I would make some granola to eat with it, but I may use this recipe instead! Oh and thank you for your kind comment - I love your blog, and it made me very happy that you checked mine out. Oh Mary, it's beautiful! I could eat a slice of this for dinner an be perfectly happy. I love the sound of this tart pie with the macerated fruit topping! Absolutely gorgeous. I always have Greek yogurt on hand...expressly for making things like this! This looks delicious! I love the tanginess that yogurt imparts to a cake! I buy lots of greek yogurt too. In fact, I have some in my fridge right now that needs my attention;D This pie looks delicious. I imagine it tastes like a tangy cheesecake. 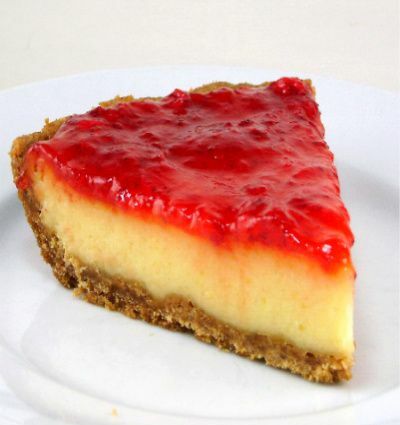 what a scrumptious pie, never had yogurt pie before, this is must try soon. Love the sound of this! I love the tanginess that yogurt provides with a little sweeteness to cut it. If Greek yougurt is an ingredient, I am there. Yogurt, pie, yogurt cake, yogurt dip.... yogurt plain. And it is a stunner. I love the idea of the fruit with sugar. I am floored by your photos! This looks so tempting. Wow, I can't wait to try this! I recently discovered Greek yogurt and have been looking for recipes to use with it. Hi Mary - it sounds absolutely delicious, and the photos are simply perfect. Thanks for linking the Yogurt Panna Cotta recipes on Taste With The Eyes! I just made this tonight, and it was delicious. I cheated and used a graham cracker crust, only used 1/2 cup sugar in the filling, and topped with about 1/2 cup of fig preserves. It was definitely sweet enough for my taste. Because I was short on time, I cooled it for an hour on the rack, then cooled in the freezer for another hour. It turned out great. Thank you for posting! !